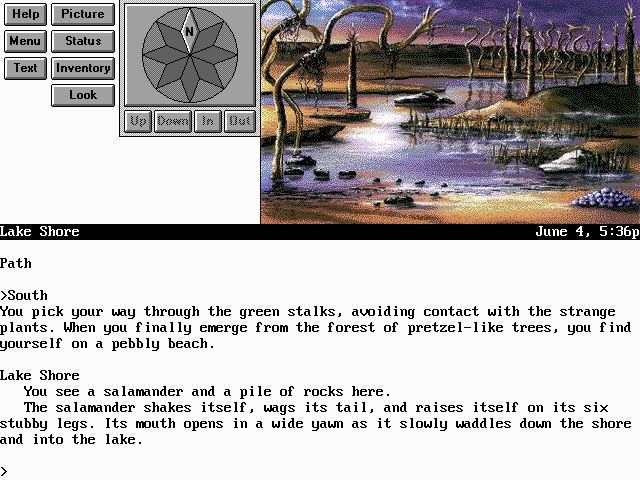 After Infocom vanished it was time to reincarnate the textadventure. Steve Meretzky and Bob Bates founded Legend Entertainment with the goal to produce more of those fabulous games. 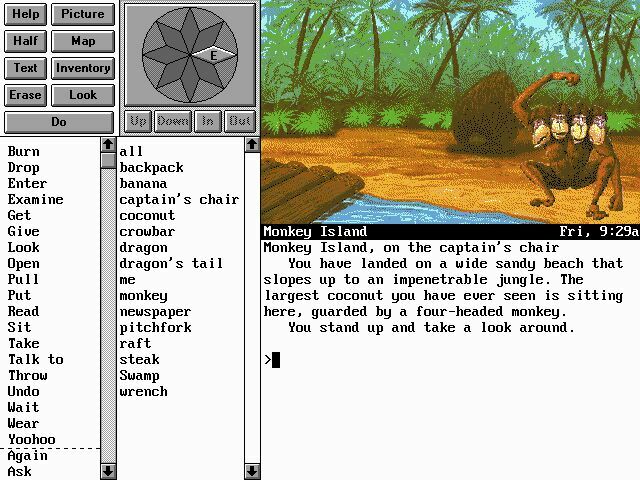 However they survived almost 10 years but only used the first 4 of them for text-adventures. Though their first graphic experiments were quite good too. A madman has escaped into the past with a time machine and altered 10 historical events. In trying to preserve the future, you will travel through time, meet some interesting historical persons (Caesar, Napoleon, to name two) and visit the same places in different times. 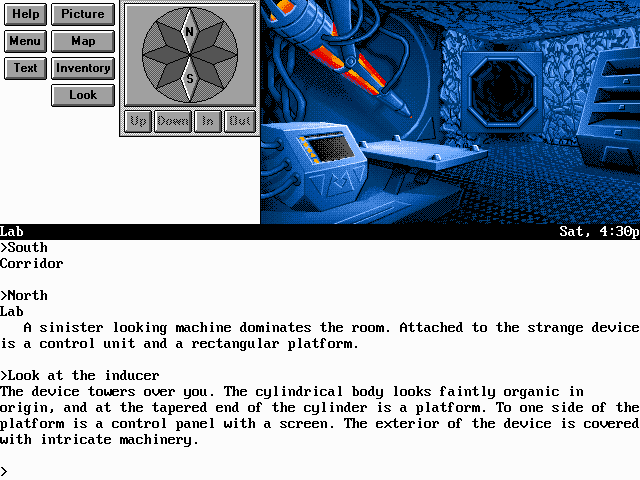 One of the most intriguing and complex interactive fiction I have played. You can imagine riddles and puzzles that only can be solved by jumping through time. However, the conversations with the philosopher were quite boring. You'd never known what to ask and you had to ask the same questions over and over in different times. 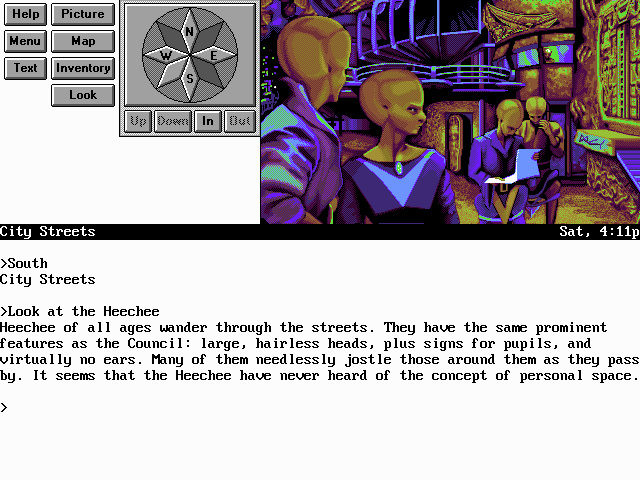 This game is not only inspired by Frederik Pohl's Heechee universe. Actually it was ported from the book to the computer. 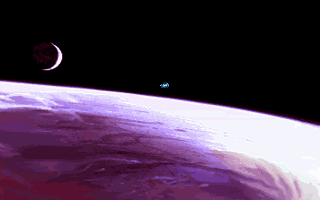 The game plays in the Heechee Universe where mankind has found artifacts that allow traveling through space. Those artifacts are left-overs from the ancient but high developed Heechee culture that once lived in space but vanished long time ago. As a cadett you want to become a space pilot on the station Gateway. You'll visit strange planets, meet extraordinary lifeforms, solve highly complex puzzles and find some friends on forgotten planets. For a space adventure you'll be rarely in space. Most of the time you'll be on the surface of planets. If you like science-fiction that game will attract lots of your time. After your arrival from your last adventure you'll find out that the Assassins (an ancient and deadly race of electronic beings with little regard for organic life) were responsible for the disappearance of the Heechee. They have established a network of surveillance stations called Watchtowers across the galaxies that were designed to search for signs of faster-than-light travel. The Heechee had a plan for disabling the Watchtowers but could never put that into practice. Since human mankind now travels faster-than-light it is only a matter of time before they are discovered too and suffer the same destiny like the Heechee. It is your mission to decrypt that plan and to save mankind. 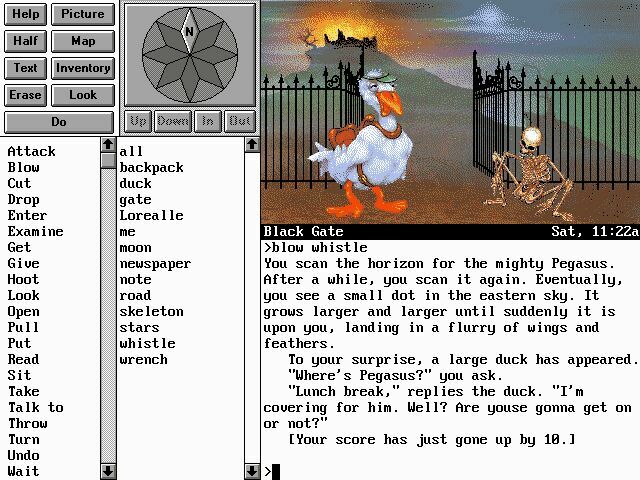 The second part of Gateway is even more exciting as the first one. The puzzles are more complex and you'll spend lots of time in space. Forget about heroism. Eric is an incompetent knight. His paths are left by a wake of destruction. Somehow he must save the princess Lorealle (The Worthy). With the help of leeches and gigantic coconuts, along with the assistance of the casts of Gilligan's Island and even Star Trek, a Not So Great Underground Empire (hm.. You're right. Zork !) and even Lucasfilm Games' Monkey Island, he will manage it in his own way. The game has a rather unique sense of humour. It combines classic chivalry with Robin Hood and some funny goodies. One of the most funny games I have ever played. As a wizard apprentice in Spellcasting 101 you start to become a magician. In the second part called Spellcasting 201 you'll have to solve another special adventure. I'm sure the third one (Spellcasting 301) isn't that much different. Sorry about this lazy description, but I haven't played all three yet. As Dug you are drawn into a contest when your friend challenges you to play a computer game he sends to you. 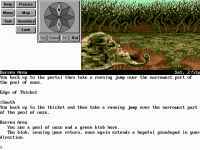 In this game within a game you must choose a companion, then you must traverse the magical land of Xanth, overcoming obstacles that bar your way and overcome your own disbelief in magic. 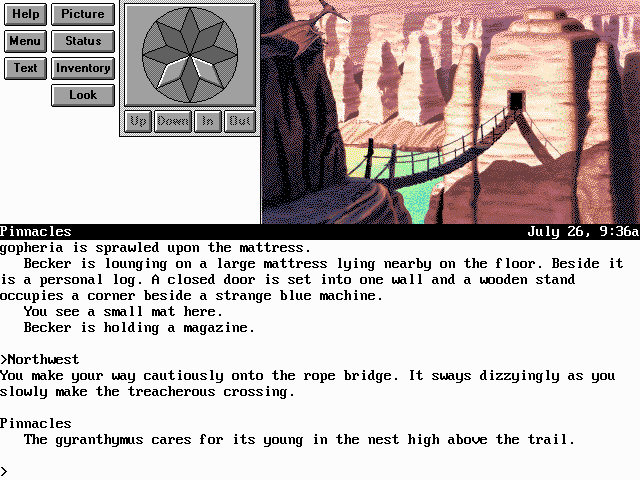 As Legend's first graphical adventure you'll miss the atmosphere of the former text-adventures. However Xanth is an interesting game to play. Centuries ago the world was splitted into five realms: Earth, Air, Fire, Water and the Nexus (a construct called The Labyrinth). 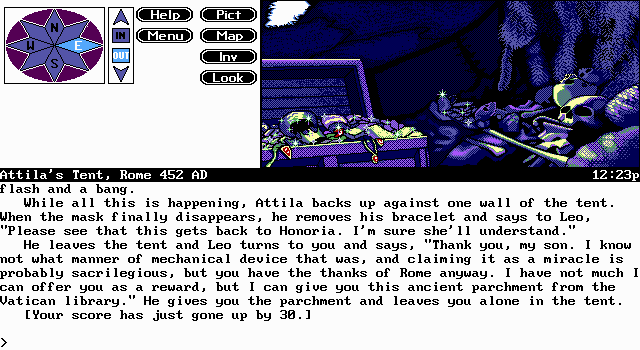 Haplo, the hero of this game, was rescued from the Labyrinth by Lord Xar who wants him to reunite the world. So Haplo goes through the Death Gate, the only connection between the realms, to find the four sections of the World Seal. 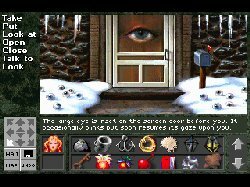 As one of the better graphic adventures by Legend, Death Gate can not keep up with the old text-adventures. It is very linear and lots of the puzzles are easy to understand. If you like simple adventures with a good story, it is worth a look though. The game originally is set in the world created by Terry Brooks. The Four Lands is the setting of the famous Shannara book trilogy. This game is set between the ending of the first book and the start of the second one. A gnome invokes the spirit of the vanquished lord Brona. He sends out the gnome to reek havoc on the Four Lands and avenge his death. The hero Jak must warn his leaders about the monsters roaming the lands. Then he must collect the Sword of Shannara to overcome Brona. 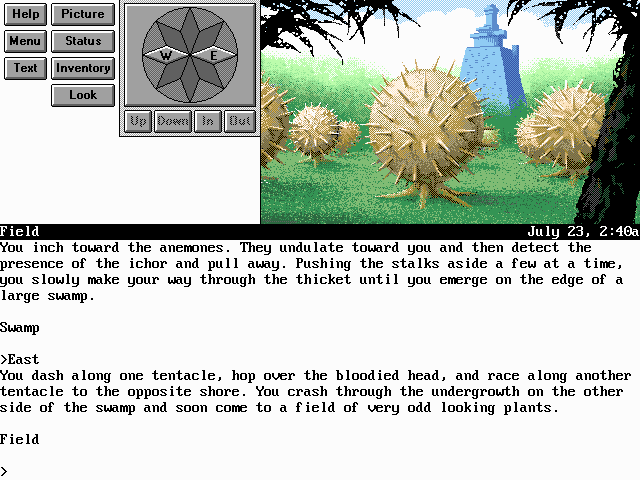 The third fabulous graphic adventure has more puzzles than the games before. Most of the badly made multimedia content (rendered graphics..) won't brake the atmosphere so that you'll spend lots of hours with playing. Legend produced some other games too. If you like adventures, Superhero League of Hoboken also is worth a look. Maybe you want to check out their other games: Mission Critical, Star Control 3, Crosstime Saloon and Blackstone Chronicles may are of interest. Since all of Legend's games run under the now ancient DOS you need a rather old computer or you must emulate them somehow. Probably the best and fastest emulator is dosemu. It currently only works under Linux or BSD on intel architecture. But it comes with freedos - an open-source'd version of DOS. Maybe more interesting is bochs. It can emulate the whole 386 processor but is rather slow when it comes to speed. But adlib sound works perfectly and it is available for any architecture and any operating system. You need to install DOS inside the virtual computer before you can play any of these games. 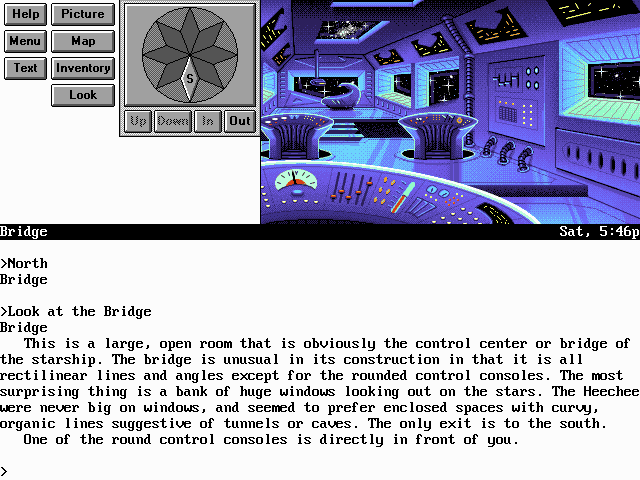 If you still own your old disks or can stick with freedos, bochs is a really good choice. 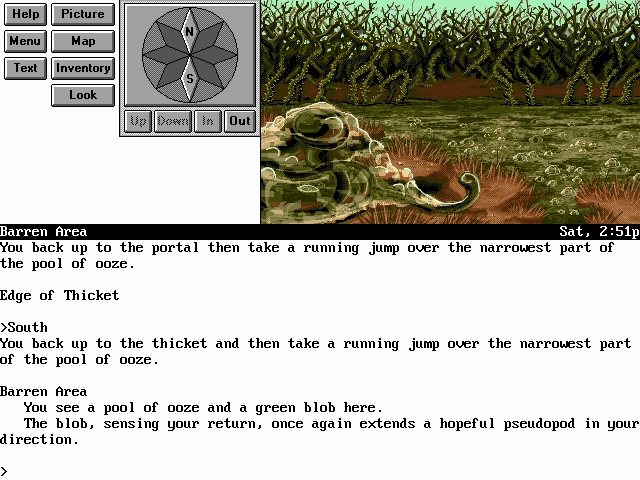 Another (for some people easier) way is dosbox. It runs on Macintosh too but is very slow even on modern machines. Even slower than bochs. But it comes with it's own DOS so you don't need to install it first. You can just start the games. To play Homeworld, I needed to manually create legend.ini and updated the directories in it. You can download a sample. LOADFIX is a utility that runs a program in memory over 64 KB. It should normally be in your DOS directory. The BLASTER variable tells the game which IRQ the sound has (here: IRQ 5) and which DMA address it has (here: 220h). Since Legend Entertainment went bankrupt and had to give up in 2003, all these games should be freely downloaded from somewhere on the internet. Generally, good places to start are Abandonware sites. Those cover lost and almost forgotten games that aren't distributed anymore. Classic Trash for example covers some of Legend's games. There are some other sites but most of them are rather hostile when it comes to downloads. Please do not support warez.